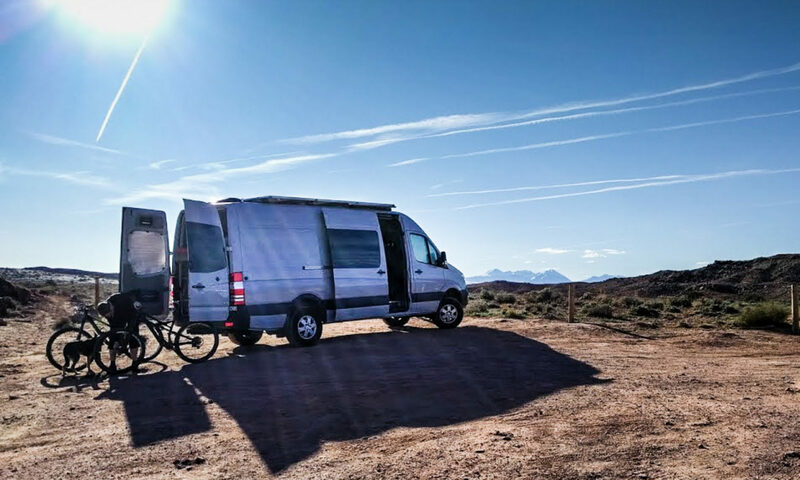 Our Sprinter came with a cup holder under the three-person crew bench seat. It’s made of plastic, it doesn’t hold cups well, and it stops us from being able to push a milk crate sized container under the seat, so we took it out. To start with we couldn’t work out how to remove it. It’s hard to get to the bolts while the seat is in place. In fact, it’s almost impossible. However, once we’d removed the seat and laid it on its back, everything became clearer. 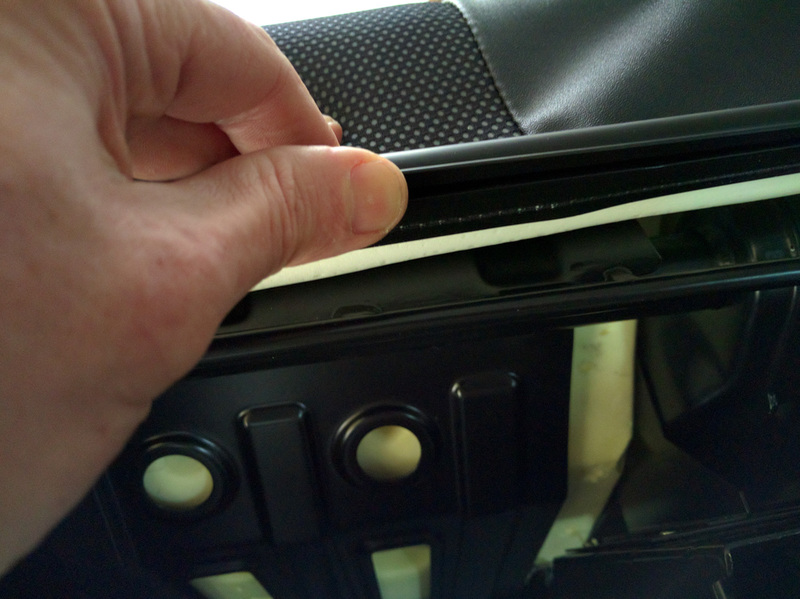 If you pull up on the plastic clip that holds the front of the bench seat cushion in place, it unclips. 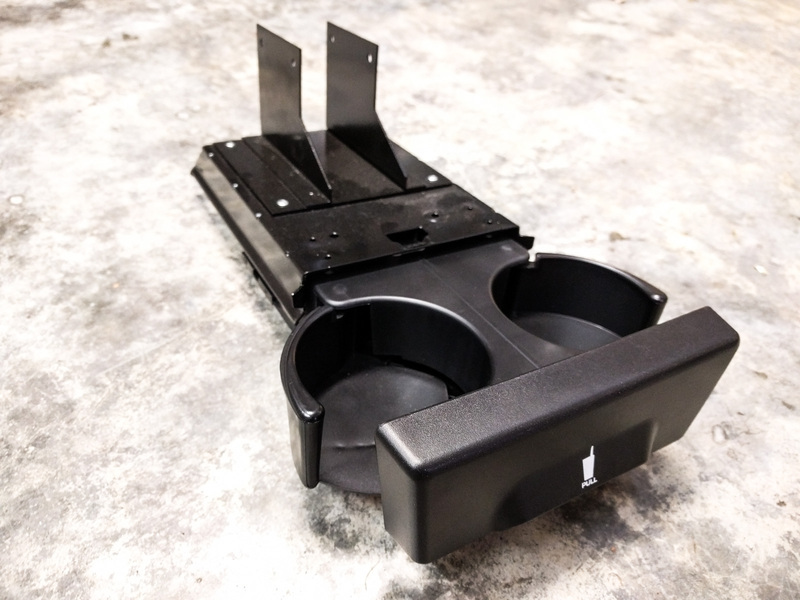 Now, you can lift up the foam seat cushion and expose the four T25 bolts that hold the cup holder in place. We used a ratcheting wrench with a T25 bit to remove the bolts, but a short screwdriver would do the job just as well. Now we have the space to store things properly under the seat, which is much more valuable to us than the plastic cup holder thing. The plastic clip we’re referring to runs along the front of the seat base cushion. Look at the place where the fabric/vinyl meets the base. That whole length of the bench is actually a plastic clip. 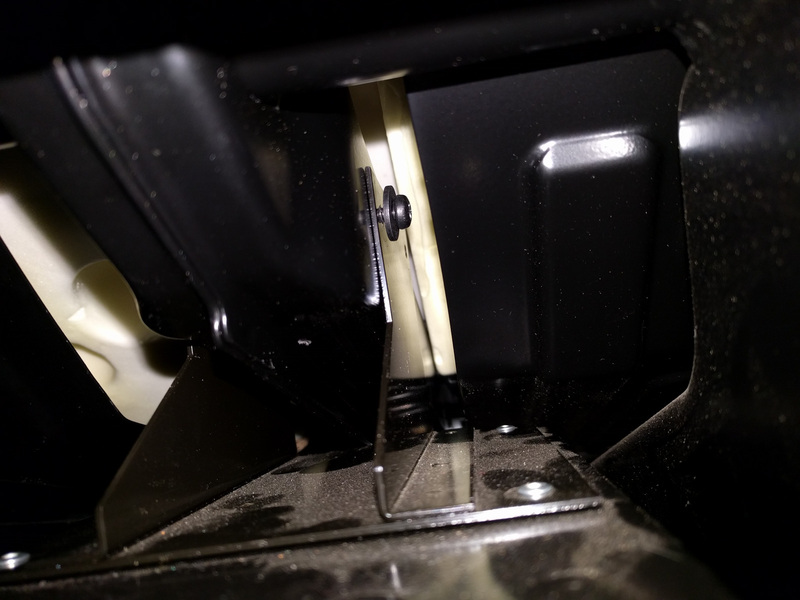 The plastic clip attaches to the underlying metal of the seat. Put your hand along the front of the seat as if you were going to pick the seat up. Your fingers will be under the front of the cushion. That’s where the plastic clip is. If you “roll” the plastic up and forwards, it will unclip from the underlying metal. This is where a picture or video is worth a thousand words. If this description didn’t help you work it out, let us know and we’ll try and get a photo for you. Perfect! Went out and found it right away, thanks so much for the help!!! Previous PostPrevious Walls are in! Next PostNext Bed panels have arrived!